Have these site news updates sent directly to an RSS reader or straight into your email inbox. This is different from Jeannie’s Newsletter and requires a separate sign-up. If you want to know what Compass Cove #3 is all about check out the Coming Next page for a brand new blurb giving you a little tease about Jack and Lilly’s love story. The book releases on June 24th and I’ll be sharing the GORGEOUS cover very soon. Make sure you stay tuned! I’m excited to announce, book #3 in the Compass Cove series, All of Me will be coming out on June 24th, 2019. I’m so excited to share Jack and Lilly’s story with you. Keep your eyes peeled for a cover reveal and teasers in the coming months! The event scheduled for tonight, February 11th, at Carl’s Candies in Northport has been rescheduled for Wednesday, February 13th. Come in for chocolate and some great romance. Come see Jeannie on Long Island! Jeannie will be hosting two events with her romance writer friends to celebrate Valentine’s Day! She’ll be at Carl’s Candies in Northport on February 11th, and The Gourmet Whaler in Cold Spring Harbor on Febuary 15th. Both evenings will feature readings, discussion and tasty treats. Click the links or go to Jeannie’s events page for details. Hope to see you there! Want to see how Jordan and Nick meet? 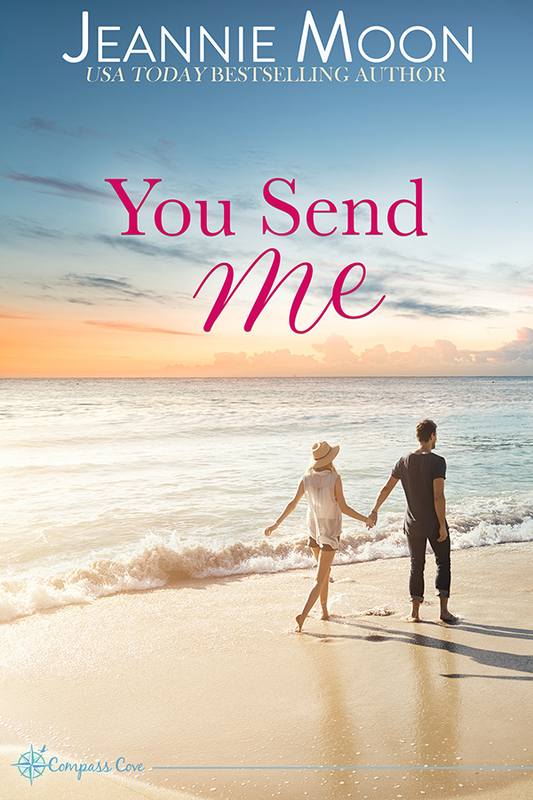 Well, I’ve just put up a new excerpt from You Send Me! You can check it out by clicking the title! I hope you love it. This couple gives me major swoons. After subscribing, be on the lookout for a confirmation email. If you don’t see it soon, please check your spam folder. Thanks!